Using a selection of government and public data, our team has created a functioning iOS App, which turns finding flatmates into an elegant journey. For example, if you got accepted for a job in a brand new area, and you have to find a flat within the month, how difficult would it be? You wouldn’t know what the area is like or whether you were seeing a good offer. More importantly, you won’t know anyone in the area. If you know nothing about a person before you flat with them, our app reverses the approach and suggests you choose who you want to live with before choosing a property. We were tired of existing property websites and pamphlets bombaring us with a bunch of fancy adjectives. With mates, we focused on showing only what users need to see: Simple facts at a glance. Users don’t want to sit at a desk or in an agent’s office to find properties. With at a glance information, and other mates who are working with you to find a home, you can spend time on more important things. We used a variety of data that we had to cleanse and aggregate, to increase the value of our app. TradeMe - The DataModels in our project were designed to work with the TradeMe API for information about property. Please refer to the Data section or the DataSets folder in our github for more info on the data we used. Setup your profile OR login and go to step 3. Kiwis flat A LOT. Over 5000 flats are up on trademe today alone, spread over every region of New Zealand. Mates can be taken all over the world, as the fundamental logic remains the same. It would especially be easier for countries such as Australia. People don’t flat forever, it is usually students, young workers or travellers. Our target market is young travellers who likes to move around a lot, so as long as we provide quality service, we will have a steady rotation of new and loyal users. The mobile platform will also help target the younger audience. Being used overseas while on travel is another potential market, especially for students who go on OEs. The app will be free, with relevant ads initially. After we’ve gathered a steady flow of users, we believe there is strong potential to work with real estate agents so that they can get the property they want onto our app. Business Plans could range from one off payments for ads, or a small % margin cut every time a contract is signed through Mates. We have tried hard to demonstrate our understanding of modern app design paradigms during this hackathon, which will help Mates appeal to the wider audience. Implementing TradeMe and Google maps in API in full. 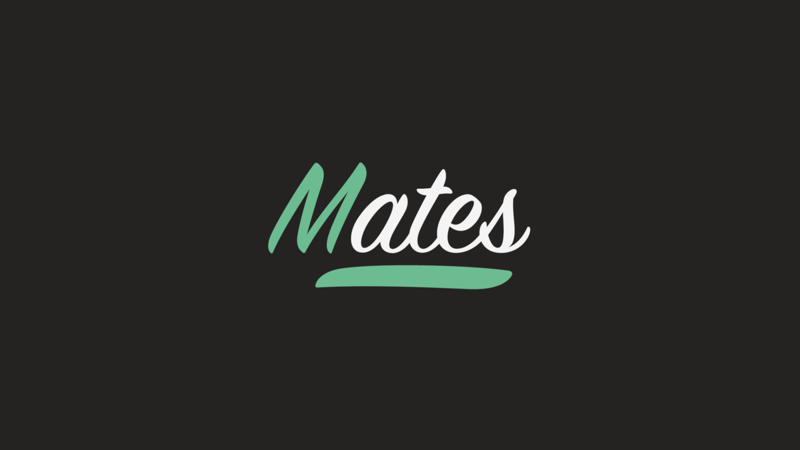 Full Chat functionality between Mates with the ability to share properties within the app. More information about areas: e.g. school zones, nearby transport .